In the first study of its kind, researchers from the Plymouth Marine Laboratory, the University of Surrey, the University of Stirling and the Arctic University of Norway investigated the social and economic impact of plastics in the sea. Examining previous research in this field, researchers identified a number of key areas affecting society that are directly impacted by plastics in the marine ecosystem. For example fisheries, aquaculture, recreational activities and emotional wellbeing are negatively affected by the material. Using this information, researchers estimate there will be a 1-5 per cent decline in marine ecosystem service delivery – the value of all benefits humans derive from the oceans – due to the disruption caused by plastics. This equates to an annual loss of $500-$2,500 billion in the value of benefits derived from the marine ecosystem globally. Researchers also considered cost per tonne of marine plastic, amounting to an annual cost in terms of reduced environmental value of between $3,300 and $33,000 per tonne of marine plastic (based on 2011 values). Despite the overwhelming negative effects of plastics in the sea, researchers identified two organisms which benefit from their presence: bacteria and algae. Bacteria and algae exploit plastics to colonize their surfaces, a phenomenon that is also likely to have a widespread negative effect. As opposed to natural substrates that tend to degrade or sink relatively quickly, plastics are highly attractive to many opportunistic species and can remain in the upper ocean for long periods increasing their geographical range and heightening the risk of spreading invasive species and diseases around the world. Dr. Nicola Beaumont, lead author and Environmental Economist at Plymouth Marine Laboratory, commented: "Our calculations are a first stab at 'putting a price on plastic.' We know we have to do more research to refine, but we are convinced that already they are an underestimate of the real costs to global human society. "Knowing this price can help us make informed decisions: recycling a tonne of plastic costs us hundreds against the costs of thousands if we let it into the marine environment; we now trade carbon to reduce emissions to the atmosphere, so we should be able to do something similar with plastics. We hope this study will highlight the reality of the plastic problem in human terms." 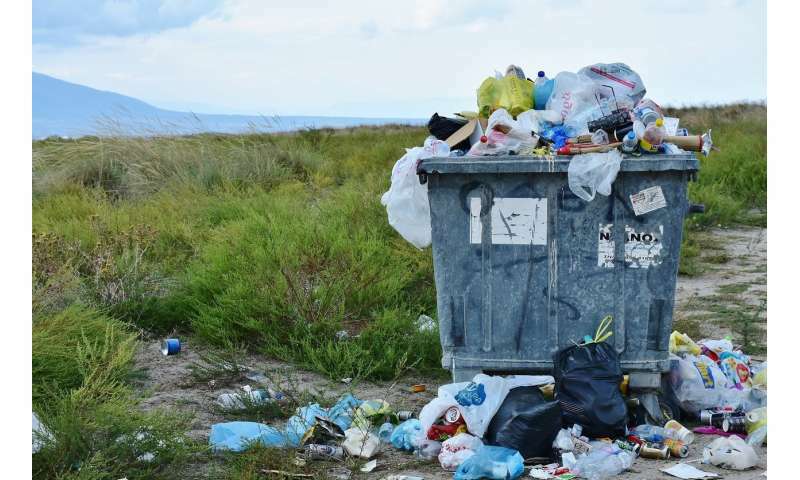 Dr. Kayleigh Wyles, Lecturer in Environmental Psychology at the University of Surrey, said: "As well as the devastating effect plastics have on our ecological and marine systems, they also directly and indirectly impact society. However, until now we have not been able to holistically demonstrate these impacts. Quantifying the enormous tangible and intangible costs associated with marine plastic waste can only help to make the case for devoting our attention and resources now to protecting the seas for future generations to enjoy."